Bob grew up in less than opulent surroundings and in an environment where he and his siblings rotated in and out of a children’s home for the indigent until he was about 10 years old. He lived for a while in Wichita Falls, Texas during his late teens where he first got to know his beloved Ruthie as a schoolmate and later as a coworker at a Luby's Cafeteria. Having few decent job prospects and fewer viable career options, Bob quit school in the 10th Grade and joined the Navy in June 1961 where he earned his GED. Bob and Ruthie were married in Wichita Falls on July 30, 1961, and they remained happily married for over 52 years living coast to coast and border to border and raising three children along the way. Bob served full tours of duty in Viet Nam between 1964 and 1968 engaging in anti-submarine warfare and determining the coordinates of enemy radar from his listening post near the wing beam of the venerable Lockheed P2V Neptune. In all, Bob spent more than 20 years in the "Airedale Navy”, which he thoroughly enjoyed and about which he often recalled with a sense of nostalgia and respect. 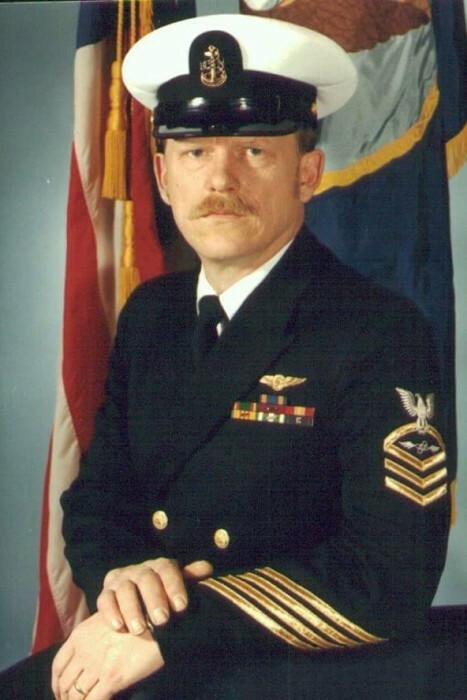 Bob retired as a Chief Petty Officer while stationed at the very same Naval Air Station in San Diego where his career had begun. Funeral Services will be held on Saturday, February 9, 2019 at 11:00A.M. at the Kellogg Funeral Chapel with visitation taking place one hour prior to the service. Interment will follow services at the Greenwood Cemetery of Kellogg. Pastor Art Fleming will be officiating.